Some of you may have noticed a large number of insects in the air lately. Most of these are midges; harmless creatures that are a natural part of the ecosystem. 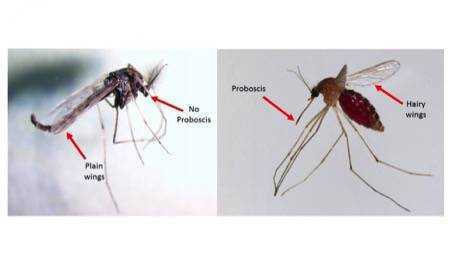 Midges don't have a biting needle (proboscis) and because of this they cannot transmit diseases. Mosquitoes do. Another difference is that midges fly in swarms that look like clouds. ... “When people report being covered by a swarm of mosquitoes, they probably just walked or passed through a cloud of midges.